Aged Gins, sometimes also referred to as “Barreled Gins,” “Barrel Rested Gin,” or the more archaic “Yellow Gin” are simply gins which have been aged in wood after distillation. Aged Gins as a category of their own are a relatively new invention. They were largely a product of the 00’s-10’s gin renaissance and a glut of used barrels on the second hand market (after all, keep in mind bourbons can only be rested in new barrels). Distillers began experimenting with limited edition releases of their gins aged in whatever barrels they had around. In the late 10’s, distillers are starting to be more intentional, designing their gins to work with the flavors wood can impart. 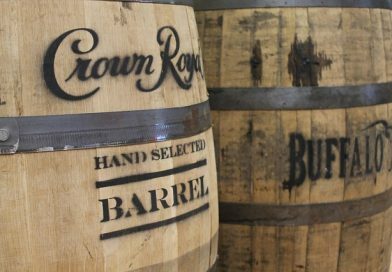 Today’s aged gins use wine barrels, bourbon barrels, rye barrels— anything. There is some historicity to the style of aged gin. Before glass bottles were widely available, nearly all spirits were kept in barrels. These barrels were used multiple times; therefore, it’s unlikely the effect would be as pronounced. Other gins, including Seagram’s High and Dry (up until about 2010) and Booth’s Finest promoted their time in a barrel as a selling point.